In early 2009, Josh Johnson's parents thought their 14-year-old's back was likely sore from a few falls he'd taken while snowboarding competitively. They live in Afton, Minn. and Josh spends his winters snowboarding and his summers wakeboarding. However, after a couple months of complaining, they knew it must be something more. Josh couldn't even bend over to tie his own shoes! Physical therapy didn't do the trick and his x-rays looked normal. Josh's family doctor wanted him to see a specialist, so they scheduled an appointment in the Twin Cities for three months later. Josh's parents, concerned about waiting three more months, requested an MRI be done in advance so they could bring that along to his appointment. Monday, June 1st, 6 p.m. - The Johnson's learned about the tumor from their family doctor. Tuesday, June 2nd - Josh was seen at Mayo Clinic, told that his tumor was an uncommon spinal cord tumor (myxopapillary ependymoma), and that it had to be removed. Surgery could be scheduled for the following Wednesday. Tuesday, June 9th - Josh had a full body MRI at Mayo Clinic, revealing one large tumor and another further down his spine. Wednesday, June 10th - Josh had surgery at Mayo Clinic. Pediatric neurosurgeon, Nicholas Wetjen, M.D., and his team successfully removed both tumors. Saturday, June 13th - Josh was discharged from Mayo Clinic, Saint Marys Hospital. This all took place in less than two weeks! Josh's last two MRIs have looked great. Dr. Wetjen says that the recurrence rate is quite low, but ependymomas require long term surveillance imaging because they can recur late. 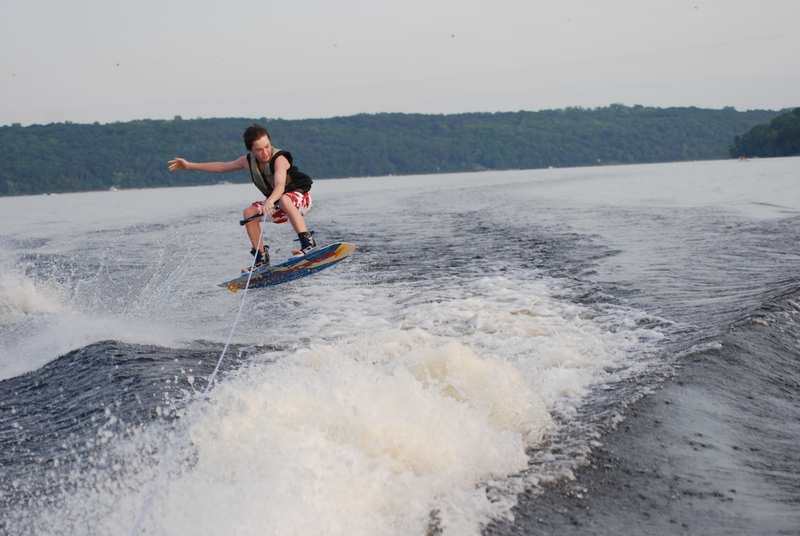 This past winter Josh was back on the slopes at Afton Alps, and he's spent the summer wakeboarding and longboarding. Josh and his parents claim that his life was saved by Mayo Clinic . . . and it was done in record time! Josh's story was submitted by Elizabeth Rice, communications consultant in Public Affairs at Mayo Clinic in Minnesota.